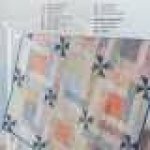 Precut Quick And Easy Quilts by Annie"s Quilting AS-141428. quilters of all skill levels. Now, even the busiest quilter will find time to make quilts.